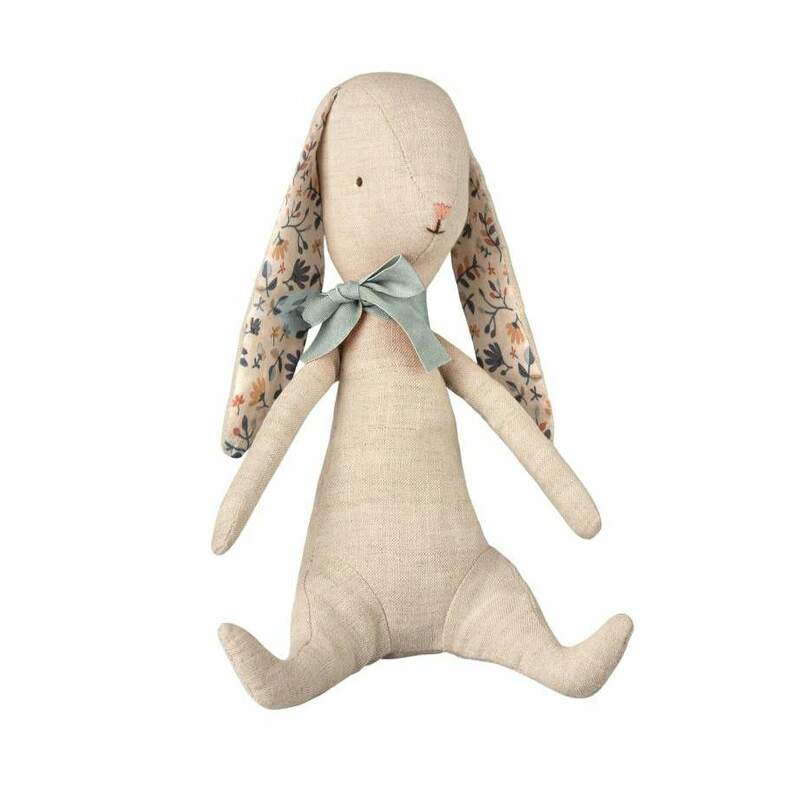 This adorable Albin bunny has a light cream body made from linen and hand stitched features. He has long floppy bunny ears, a white bobble tail and a teal bow around his neck. 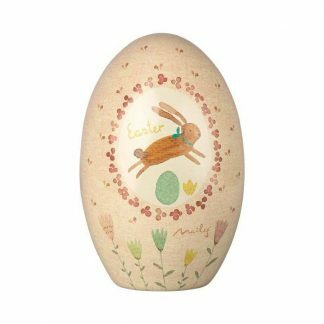 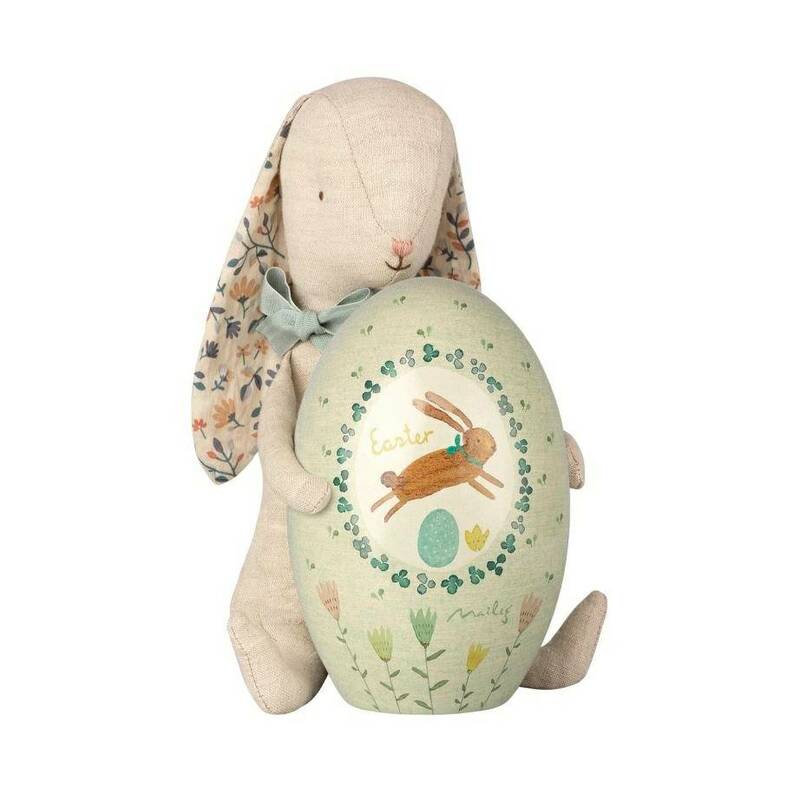 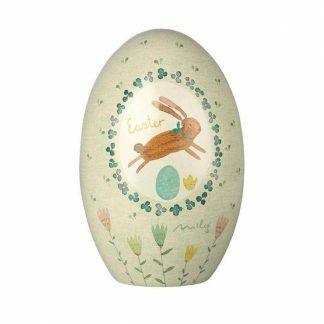 He has beans in his bottom and magnets in his arms which means he is able to hold on to Maileg Easter eggs, which are available to purchase separately. This Maileg soft bunny toy is machine washable and suitable from 3 years. Approx 21 cm.